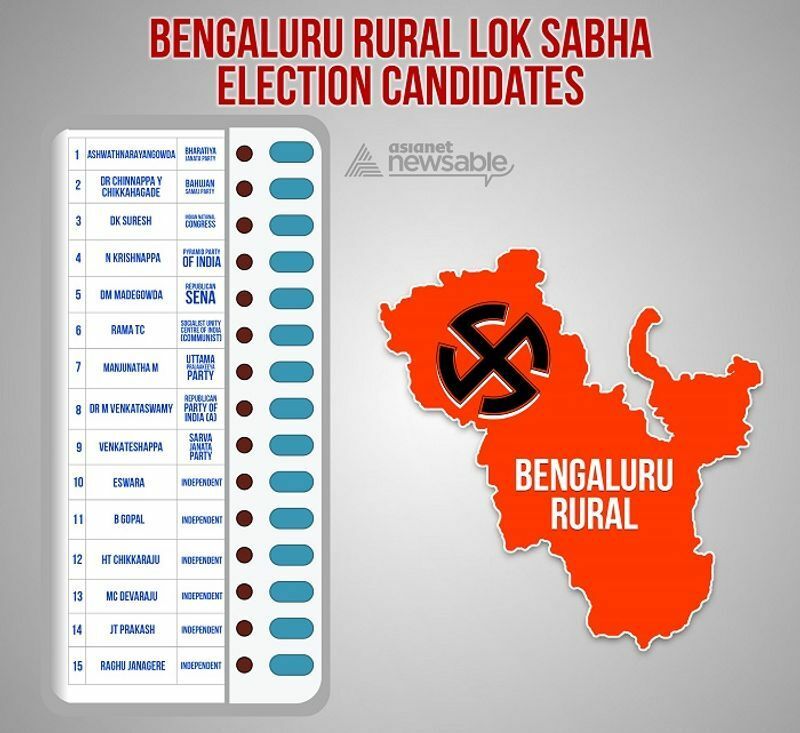 Bengaluru: Bengaluru Rural Lok Sabha constituency was created in 2008 as a result of delimitation of parliamentary constituencies. 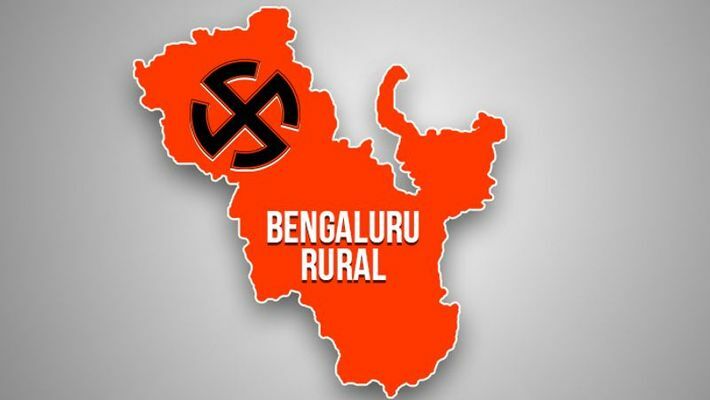 The constituency includes eight Assembly seats - Kunigal, Rajarajeshwari Nagar, Bangalore South, Anekal, Magadi, Ramanagara, Kanakapura, and Channapatna. The first general election to the constituency was held in 2009, when HD Kumaraswamy of JD(S) won the election with 4,93,302 votes against BJP's CP Yogeshwar who had secured 3,63,027 votes. But Kumaraswamy resigned from the MP post and a by-election was held in 2013. Congress leader DK Shivakumar's brother DK Suresh contested for the first time and won with 5,78,608 votes against Kumaraswmay's wife Anita Kumaraswamy who managed to secure 4,41,601 votes. In the year 2014, general elections were held again, and Congress leader DK Suresh won securing 6,52,723 votes against BJP's Muniraju Gowda who obtained 4,21,243 votes. This time too Congress has fielded DK Suresh and JD(S) is supporting him under the seat-sharing agreement between the parties. BJP has fielded BJP spokesperson and former MLC Ashwath Narayana Gowda.